In a Homewood campus lab, scholars and students are coaxing cockroaches to share some crucial locomotion tips that could help future robotic vehicles traverse treacherous terrain. When they turn up in pantries or restaurant kitchens, cockroaches are commonly despised as ugly, unhealthy pests. But in the name of science, Johns Hopkins researchers have put these unwanted bugs to work. In a crowded, windowless lab, scholars and students are coaxing the insects to share some crucial locomotion tips that could help future robotic vehicles traverse treacherous terrain. In the aftermath of an earthquake or on the unexplored, alien surface of another planet, for example, a cockroach could persist where humans hesitate to go. For missions like these, the Johns Hopkins researchers want to build robots that behave more like cockroaches. The team’s early findings are the subject of two related research papers published this month in the journal Bioinspiration & Biomimetics, Body-terrain interaction affects large bump traversal of insects and legged robots, and Dynamic traversal of large gaps by insects and legged robots reveals a template. Sean W. Gart, a postdoctoral fellow who puts the roaches through their paces, was the lead author of the two papers. The senior author of both papers was Chen Li, an assistant professor of mechanical engineering who directs the Terradynamics Lab. It focuses on movement science at the interface of biology, robotics, and physics. Inside the lab, cockroaches scurry along tracks featuring two types of obstacles: large “bumps” and equally large “gaps.” These mimic the holes and barriers the roaches—a Central American species with bodies about two inches long—might encounter in their rugged natural habitat, typically a rainforest region cluttered with vegetation. The bugs contort their heads, torsos, and legs until they find a way to get themselves over or across the obstacles in order to remain on course. High-speed cameras capture the roaches’ body and leg motions. The videos can later be slowed down to help the researchers learn the precise tactics that small robots might use to surmount the same types of obstacles. Some of these roach-inspired improvements are already being put into action. Li’s team constructed a multi-legged robot to replicate the insect’s running patterns. After carefully reviewing their bug videos to discover the underlying physics principles, the researchers added a “tail” to help the robots replicate body positions that helped the real roaches get past the large bumps and gaps on the lab track. This simple change increased the largest gap size that the robot could traverse by 50 percent and the largest bump size it could traverse by 75 percent. “We’re just beginning to understand how these critters move through a cluttered 3-D terrain where you have obstacles that are larger than or comparable to the animal or robot’s size,” says Li, who has been working with cockroaches since 2012, when he became a UC Berkeley postdoctoral fellow studying animal locomotion. The next step will be to determine whether their findings also apply to movement through more randomly scattered terrain, such as rubble from a demolished building. The research was funded by a Burroughs Wellcome Fund Career Award at the Scientific Interface, a U.S. Army Research Office Young Investigator Award, and Johns Hopkins University’s Whiting School of Engineering. Glandular tissue at 20x magnification. Image credit: Getty Images. 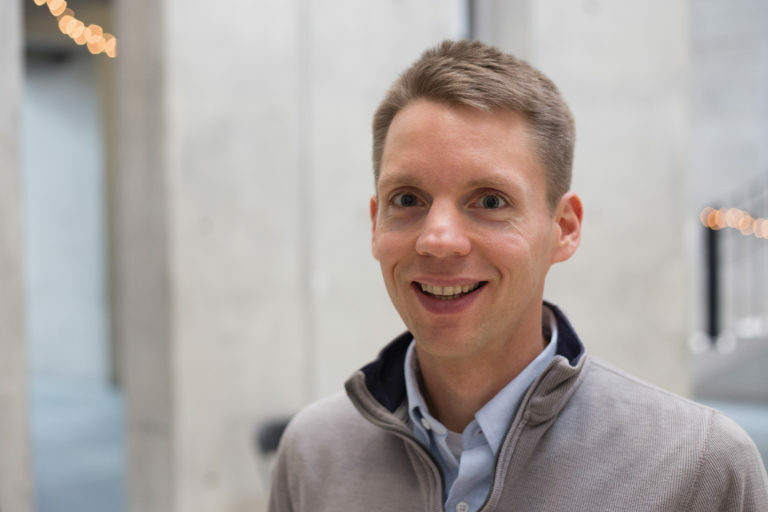 “We combined some classic biomolecular hallmarks of aging, and sought to further elucidate the role of biophysical properties of aging cells, all in one study,” said Phillip, now a post-doctoral fellow at Weill Cornell Medicine. This research was meant to correct for that omission by considering the biophysical attributes of cells, including such factors as the cells’ ability to move, maintain flexibility, and structure. This focus emerges from the understanding that changes associated with aging at the physiological level—such as diminished lung capacity, grip strength, and mean pressure in the arteries—”tend to be secondary to changes in the cells themselves, thus advocating the value of cell-based technologies to assess biological age,” the research team wrote. For example, older cells are more rigid and do not move as well as younger cells, which, among other consequences, most likely contributes to the slower wound healing commonly seen in older people, said Denis Wirtz, the senior author and Johns Hopkins’ vice provost for research. Wirtz and Phillip conducted their research in the Johns Hopkins Institute for NanoBioTechnology. From the analysis, they were able to stratify individuals’ samples into three groups: those whose cells roughly reflected their chronological age, those whose cells were functionally older, and those whose cells were functionally younger. The results also showed that the so-called biophysical factors of cells determined a more accurate measure of age than biomolecular factors such as cell secretions, cell energy, and the organization of DNA. “It opens the door to finally be able to track how a person is doing at the cellular level,” Wirtz said. Adegoke Olubusi. No image credit. The training interface of OneMedical. No image credit. OneMedical can be reached at team@onemedical.ng. Six more projects submitted this spring to the Idea Lab, Johns Hopkins’ online crowdsourcing platform, have been selected to receive funding, joining five other proposals that will be funded because they received the most online votes. A committee selected three proposals from among the many that were submitted to the Ten by Twenty Challenge, which is issued each year by JHU President Ronald J. Daniels and draws its themes from the priorities outlined in the university’s vision for the future. This year the challenge called for ideas to foster individual excellence. Baltimore is also the focus of 7 in the City: A Multimedia Journalism Project, which will receive $10,000 to create films and written profiles that explore what it is like to be a 7-year-old growing up in the city. The two-semester class will involve students from the Krieger School’s Advanced Academic Program’s MA in Writing and MA in Science Writing programs, Morgan State University’s School of Global Journalism, and JHU’s Department of Film and Media Studies, and will look specifically at public health issues, race, class, and educational and economic disparities. Staff of the Sheridan Libraries proposed Mining and Dining: Exploring Text Mining Tools in a Fun Setting in response to feedback from graduate students suggesting that it would be helpful to their careers to better understand the tools and methodologies of textual analysis. With $2,367 in Idea Lab funding, library staff will organize a series of informal workshops over lunch to introduce participants to digital scholarship tools. Three more winners were also chosen to receive $2,500 Diversity Innovation Grants, which are awarded by the Diversity Leadership Council using the Idea Lab as a submission platform. The Student Research Ambassador Program seeks to address the underrepresentation of students from diverse and low-income backgrounds in academic research. It will be administered by the Krieger School’s director of undergraduate research and will create a network of graduate and undergraduate researchers who share information on finding faculty mentors, locating funding, and writing proposals with peers, among other topics. Members of the Black Faculty and Staff Association and JHU students plan to provide a De-escalation Workshop to students in Baltimore City public schools and after-school programs. According to the proposal, “The rate of catastrophic deaths for our city youth increases as the weather turns warm, and many are left on their own without supervision while their parents are working.” The workshop will discuss how the police assess threats and how to communicate with police and others to calm a situation. The Information Hub for Latinos will be part of the Hopkins Latino Alliance Community Initiative and will collect information and resources on a new website and app. The project team said in its proposal it will work with Johns Hopkins-affiliated organizations and community leaders to gather information on events, scholarships, grants, summer opportunities, affinity groups, and health promotion. All of the 2017 submissions and comments are available with a JHED login credential on the Idea Lab website. In their study, published online today in Nature Communications, the team also reported that the combined use of two existing drugs disrupts this process and appears to significantly slow cancer’s tendency to travel, a behavior called metastasis.